Days Gone is the first to flinch in the game release death race currently slated for February 22, 2018. Today, Sony announced the open world zombie game will be delayed again by two months so the studio can finish polishing it. 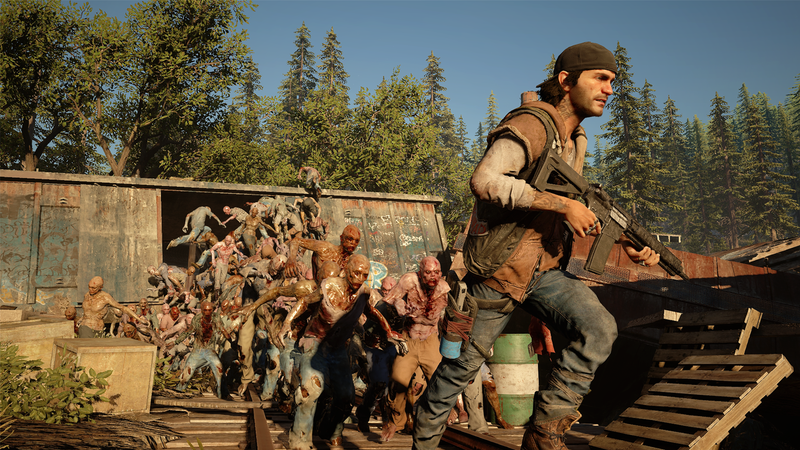 “We recently decided to move the release of Days Gone from the crowded February timeframe to April 26, 2019,” Sony said in a post over at the PlayStation Blog. “While the studio is eager to see Days Gone in the hands of fans, Bend Studio will take the opportunity to further polish Days Gone.” This is the game’s second delay following an announcement last March by Sony Bend that it wouldn’t be hitting in 2018 as previously stated by Sony Worldwide Studio president, Shuhei Yoshida. Neither delay is very surprising. This fall was already jam-packed between Sony’s other first-party blockbuster, Spider-Man, as well as the usual annualized series and, of course, Red Dead Redemption 2. Following this year’s E3, next February started to fill up as well. Over the course of the conference, 4A games’ announced its open-worldish FPS Metro: Exodus would come out on February 22. BioWare confirmed its much-anticipated sci-fi loot shooter Anthem would do the same. Even the launch of Microsoft’s much beleaguered Crackdown 3 ended up getting delayed to that day. And then there was Days Gone. The winter can be a slow time for games, so it was a bit ridiculous to see all of the season’s biggest releases stacked up on top of one another. At the time, Kotaku’s own Kirk Hamilton joked that “February is gonna be lit,” while elsewhere people bemoaned an apparent repeat of 2017’s October 27 which saw the release of Wolfenstein 2, Assassin’s Creed: Origins, and Super Mario Odyssey. Bethesda’s Nazi shooter, which got high praise from critics, still ended up lagging behind the other two in the following month’s NPD numbers. Any number of factors could have caused that, but its release date timing can’t have helped. Sony Bend doesn’t seem to be taking any similar chances with Days Gone. Maybe the game really does need a lot more polish, or maybe the studio had its eye on trying to recapture some of God of War’s magic when it released in the same week in April last year. Either way, February 22 just got a little less hellish.